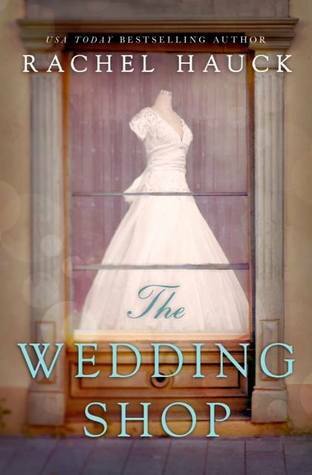 The Wedding Shop is a dual timeline story with one character, Cora Scott, who has inherited her Aunt Jane’s bridal shop in Hearts Bend, Tennessee in 1930. The shop is a magical place for brides and their families, with multiple generations returning over the years. However Cora has never been married and is still waiting on her handsome riverboat captain to return and claim her as is wife. In the meantime, she waits and makes dreams come true for brides of all walks of life and from near and far. It is the summer of 1996 and Haley and her best friend Tammy have always loved playing brides in the abandoned bridal shop and swear one day they will own it and make it great again. But as usual, life gets in the way. Haley goes off to college and then the Air Force and after a bad relationship decides to come home. She has no idea why until she sees the wedding shop. And she knows what she is meant to do. This is the first book of Rachel Hauck’s that I have read. And I was very impressed. I am going back to read the ones before The Wedding Shop. This is a story of God’s love and of our faith. Believing in yourself and your path. A beautiful story of women and what we all hold dear. About forgiving ourselves for the mistakes of the past and really letting it go. About seeing what is right in front of our eyes and trusting that God knows what he is doing even when we don’t. I received this book from Netgalley and the publisher. She’s never skied or jumped out of an airplane. She leaves such hijinks to Jason Bourne.